Hannibal Barca, Napoleon Bonaparte, Robert E Lee and Erwin Rommel are often considered the greatest generals of their respective wars. At the tactical level they were usually the best and they all achieved incredible battlefield victories despite fighting against considerable odds. However, despite being military geniuses all of them lost their wars in the end. Factors such as inadequate resources and manpower, deficiencies in naval power and logistics, underestimating their opponents and the failure to adequately attacked their enemies’ centres of gravity, as well as their propensity to gamble ultimately doomed these generals to defeat. In many ways these men were different, one being from ancient Carthage, another from France, yet another from America and the last from Germany. They also lived in different times; Hannibal in the late 3rd Century B.C, Napoleon during the early 19th Century A.D, Lee the latter half, and Rommel during the 20th Century. Their societies were equally unique; Hannibal from a mercantile and maritime empire, Napoleon from a French Monarchy and then Republic, Lee from a society based on slavery and exploitation, and Rommel from a society that went from being cultured and intelligent to the epitome of hatred and cruelty. All of them were motivated by different things: Hannibal to avenge his country’s, and his father’s, humiliation by Rome in a previous war, Napoleon by an unabashedly desire to dominate Europe, Lee by the genuine desire to protect his state from harm, and Rommel by the desire to be great and famous. Hannibal Barca was a Carthaginian who became a soldier at the age of 9 and remained undefeated in Italy after 16 years of war, his army surviving despite being usually outnumbered and cut off from reinforcements and supplies from the outside. Napoleon Bonaparte was a career soldier who came to prominence after the “French Revolution” and exploited the political atmosphere in France to become Emperor and came close to dominating Europe over the course of a generation. Robert E Lee was a southern gentlemen who hated slavery yet fought for the South anyway during the “American Civil War” and kept at bay the much larger and stronger forces of the North for several years. Erwin Rommel was an opportunistic and almost reckless German general in “World War 2” who defeated the British time and time again in North Africa despite having few resources and being all but ignored from his leaders at home. Another similarity is that they were brilliant at the tactical level of warfare, as in they were experts at knowing how to win battles. For them winning battles was the most important thing in war. As Clausewitz noted in his masterpiece “the wish to annihilate the enemy’s forces, is the first-born son of war.” Whatever faults can be ascribed to these men, they were probably the best military tacticians of their day. Yet winning battles, especially those that did not produce decisive strategic or political results, is only one part of warfare and as will be shown the disproportionate focus shown by these men towards winning battles ultimately proved counter-productive in certain instances. All of them were also masters at maneuver in warfare and seeking quick victories. Part of this was due to their aggressive nature and part due to their respective strategic positions during their wars. Maneuver in warfare and seeking quick, decisive results is risky and uncertain whereas attrition and prolonged warfare is more safe and predictable. However, even if these men had not been naturally bold and aggressive their strategic predicaments during their conflicts dictated they could not afford to be cautious. Generally these men fought for countries and led armies that had less men, weapons, resources and money than their enemies. Keeping in mind Sun Tzu’s maxim that “no nation has ever benefited from protracted war” it would have been suicidal for these generals to fight long and attritional wars against enemies who could outlast them in men and resources. Thus as noted earlier they emphasized on winning battles and the quickest and usually most decisive means of winning decisive victories involved maneuver. If you look at the greatest battlefield victories of Hannibal, Napoleon, Lee and Rommel they never consisted of lines of infantry meeting each other head on and wearing each other down until one ultimately prevailed. Rather they involved bold maneuvers that either overwhelmed an enemy’s flank, such as “Austerlitz,” threatened their lines of communication, such as “Gazala,” or encircled or trapped them completely such as “Cannae.” Such moves often compensated for inferior numbers due to the fact that success in war is often more of a result of psychological than physical factors considering soldiers who are outflanked and encircled are more likely to panic and flee (even if they enjoy numerical superiority) then if they face them straight ahead in a slugging match. Ultimately the hope was that decisive victories based on maneuver would quickly defeat the enemy before they had a chance to allow their superior resources and manpower to overwhelm the other side. While these generals and their countries sometimes accomplished this in the end they all failed. This meant that these generals were gamblers. As Napoleon once said “if the art of war consisted merely in not taking risks glory would be at the mercy of very mediocre talent.” However, once again it should be stated that considering their unfavourable strategic situations they often had little choice but to gamble. Time, money, manpower, and resources were ultimately against them so being cautious was usually not an option. A lot of the time their gambles produced some of the greatest military victories in history. However, these men were not infallible and whereas sometimes they had to gamble because they had no choice at other times they gambled prematurely, or foolishly, when they had the advantage and it cost them dearly; Rommel’s “dash to the wire” in 1941 and Napoleon’s invasion of Russia being poignant examples. Then there were some commonalities amongst these men that can unequivocally be labelled as faults rather than virtues. Perhaps the most obvious was that eventually they tended to underestimate their enemies. This is not hard to understand considering these men were perfectionists and were extremely intelligent, competent and ruthless. Given that they often faced amateurs and fools who had no business being generals and armies that were poorly trained and inexperienced it is no surprise that they sometimes succumbed to hubris and complacency. Yet Clausewitz cautioned to “never engage the same enemy for too long or he will adapt to your tactics,” and it is often the case in war that the initial victors fail to change and adapt whereas the initial losers learn from their mistakes and inevitably triumph. Another flaw was that these generals either misunderstood, or underestimated, naval power. These men were all land generals who excelled at destroying their adversaries on land and gave little thought to naval affairs. Once again some of this was due to circumstances (none of them enjoyed naval superiority during their conflicts) but it seems that none of them took serious interest in naval warfare. As will be seen these generals won battle after battle on land but their deficiencies in naval power ultimately produced negative strategic results against them. Underestimating certain logistical considerations was also to be another fatal flaw for these men. However, it should be noted that none of these men were ignorant about logistics in general. Hannibal could not have crossed the Pyrenees, the Alps and survived 16 years in Italy without hardly any resupply from Carthage had he being ignorant regarding logistics. Napoleon also initially excelled at logistics, mostly by being ruthless and letting his army live off the enemy via pillaging and stealing every resource that came within their reach. Lee deserves credit for moving and supplying his forces effectively so often despite the backwards state of the South’s infrastructure. Even Rommel, the supposed quartermaster’s nightmare, pulled off several coups such as hastily organizing a refuelling operation at night while he was almost surrounded by British forces in May 1942. However, whereas all of them excelled at logistics in the short term they failed in the long term. This would eventually prove to be disastrous for them. Finally, an additional flaw was that despite their military genius these men, with some notable exceptions, failed to realize and exploit their enemies’ true centres of gravity regarding their war efforts. An enemy’s “centre of gravity” is the thing, be it their capital city where policy is made, their industrial or economic heartland where their resources or financial wealth is created, or their armed forces that protects their territory, that more or less keeps them in the war. For example, capturing an enemy’s capital might crush their will to resist and they may surrender. Or securing the enemy’s industrial heartland (such as Germany’s Ruhr valley) could cripple their capacity to produce enough weapons and resources to continue the war. Finally, destroying, or at least neutralizing, the enemy army can allow the invader to overrun enough territory or even the whole country and force them to surrender. As was noted earlier these generals were extremely focused on winning battles and while that admittedly often led to decisive results it also resulted in them occasionally ignoring potential opportunities that could have won their conflicts for good, or offered better results in the long run, and even led them to gambles that seem reckless and foolish with hindsight. Yet to be fair these common flaws; underestimating the enemy, neglecting naval power, misunderstanding certain logistical considerations, and failing to identify and neutralizing their enemy’s true centres of gravity often had as much to do with their relative strategic situations as their own personal dispositions. It is true that these men were aggressive, tended to gamble, focused on land battles that promised quick, tactical victories and often dismissed their enemies and deemed that things such as logistics, naval, economic and industrial factors were of secondary importance. However, as already stated these men usually had the disadvantage in these latter categories and while this is not to suggest that they could have done more to even out, or alleviate, these disadvantages, it does make sense that these generals focused on their strengths (maneuver, speed, tactics and cunning) to win decisive victories instead of investing more in areas they had little chance of prevailing in. Yet regarding underestimating the enemy these generals deserve more censure. Sun Tzu wrote that “if you know the enemy and know yourself, you need not fear the result of a hundred battles.” It is true that while these generals often knew both their own capabilities and those of the enemy, as time went on they tended to form a less accurate picture of their opponents and this led to major mistakes on their part. 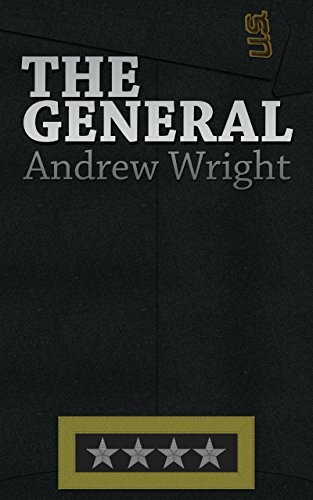 It is necessary to analyze the wars, campaigns and battles that these generals fought as well as the various strategies, tactics and methods of commands they used to understand not only why they were great generals, but also why they ultimately lost. 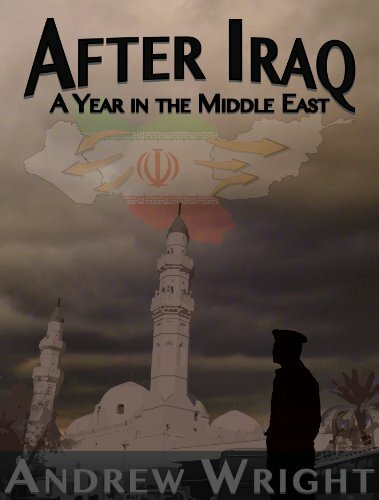 The geopolitical circumstances of each conflict, as well as how their enemies conducted themselves and then adapted after their initial defeats are also relevant in this regard. Let us start with Hannibal Barca and his war against Rome. 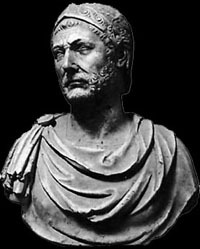 Hannibal Barca was the main Carthaginian commander during the “Second Punic War.” His strategy during this war between Rome and Carthage was to invade Italy overland via Spain and France to fight the Romans on their own soil. He did this both because he wanted to fight the war in Italy instead of letting it be waged against his own territories in Spain and North Africa and because he believed Rome could only be beaten in Italy. Rome’s biggest advantages versus Carthage was its vastly superior manpower, and better navy, and Hannibal felt his only chance to win the war was to invade Italy, destroy Roman armies, force Rome’s allies to defect to Carthage and thus rob Rome of her superiority in manpower. It was hoped that this would force, or convince, the Romans to sue for peace. Hannibal was arguably the greatest general in antiquity, perhaps better than Alexander and Caesar. He was the best tactician of the war, a model leader and a shrewd trickster. He always led by example; sharing his men’s toils, getting in the thick of the fight and ate and dressed the same as even the lowest soldier. Hannibal was a master at maneuver in warfare, always utilized terrain to his advantage, and was adept at ambushes and surprise attacks. He effectively coordinated the considerably different contingents under his command to allow their various strengths to be used against the Romans who were generally predictable and beaten by him time and again. He was so effective as a commander that he maintained himself in Italy for 15 years even though he received almost no reinforcements from Carthage, was inadequately bolstered by some Gallic tribesmen and defecting Italians, and was almost always outnumbered (often incredibly so) by the Romans. Like our other generals Hannibal had, initially, a better trained and more professional army that benefited from superior leadership, doctrine and tactics. Eschewing attrition and lengthy sieges (usually at least) he sought out decisive battles against the Romans to smash their armies to hopefully alter the unfavourable strategic situation between Rome and Carthage. In battle he focused on maneuver, deception, terrain and the various capabilities of his multinational forces versus the Roman legions who were generally homogeneous and over-reliant on brute force methods at the expense of maneuver. Yet before he even got to Italy to inflict the many reverses he did on Rome he had to travel a long and hazardous trek across rivers, mountain-chains, and areas filled with hostile tribes. During these marches Hannibal lost roughly 50% of his army from desertions, battle, the elements and attrition. When he finally arrived in Italy he had perhaps 26,000 sick, tired and hungry men and cavalry to fight Rome. It should be noted that Polybius estimated that Rome and her allies could mobilize up to 700,000 infantry and 70,000 for any potential conflict at this time and as such Hannibal’s small army represented a mere 3% of this gigantic figure! No wonder his strategy involved recruiting Gallic tribes and to pressure Rome’s Italian allies to defect; this was the only chance he had in such a lopsided war. For the first few years of the war we see Hannibal trying, and generally succeeding, in provoking the Romans into battle to both destroy their armies as well as motivate the Gallic tribes in Italy, and Rome’s Italian allies, to desert to him. After crossing the Alps his forces were very weak and he needed quick support from the Gallic tribes before the Romans would overwhelm him. The first battle between Hannibal and Rome occurred at the Ticinus river which was predominantly a skirmish between Hannibal’s cavalry and Roman light infantry and calvary. The battle is easy to describe as Hannibal used his cavalry to outflank and outmaneuver the more cumbersome Roman force and won the battle with few losses. This is turn motivated most of the Gallic tribes in the area to join his side and gave him enough strength to win the subsequent battle at the Trebia River. Hannibal’s greatest victories in Italy would include Trebia, Lake Trasimene and Cannae. At the river Trebia in late 218 B.C. Hannibal’s weak infantry in the centre absorbed the main Roman assault while his superior calvary, and elephants, on the flanks routed their Roman equivalents and then turned to attack the Roman infantry from both flanks. Then Hannibal threw in an elite force that had been hiding near the battlefield to attack the Romans from behind. The latter became surrounded and while some of them broke through Hannibal’s centre the lion share were slaughtered. Lake Trasimene in 217 B.C. was Hannibal’s next great victory. Here he had marched through a narrow passageway near the lake that was was flanked by hills to the north. As his Roman opponents pursued him he doubled back during the night and placed most of his forces in the hills. The next morning he lured the Romans into the narrow defile by posting units at the far end of the pass to get the Romans to advance. As the Romans advanced into the defile they could not see much of the hills above because there was a great mist blanketing the area. Once they were in the trap Hannibal threw his army down the hills and slaughtered the Roman army that was surrounded on all sides and was still vulnerable in marching formation. The Romans lost perhaps 20,000-30,000 men, Hannibal lost 1500-2500 casualties. Yet Cannae in 216 B.C. would be Hannibal’s masterpiece, a battle where although he was outnumbered by perhaps 50% he still managed to encircle and completely destroy the opposing army. Hannibal had his outnumbered and inferior Spanish and Gallic infantry in the centre slowly withdraw in the face of Rome’s vastly superior infantry. Meanwhile Hannibal posted the majority of his cavalry, who were superior to the Roman calvary on the left flank to quickly defeat the Roman cavalry there and then move on behind the Roman infantry and attack the Roman allied calvary on the other flank. Meanwhile the Roman infantry in the centre inevitable burst through the weak Carthaginian centre. However, by then the Roman infantry was very disorganized. Even worse for them was that Hannibal had wisely posted his Libyan infantry behind his main infantry lines and on their left and right flanks. These were his best soldiers, they were still fresh as they had not yet joined the battle and were now in a position to advance on both flanks of the advancing Roman infantry. They quickly hit the Roman formations and halted their advance, which also allowed Hannibal’s Gallic and Spanish infantry to reorganize after their initial rout and go back over to the attack. Finally, most of Hannibal’s calvary returned from routing the Roman and Latin calvary and sealed the victory by attacking the Roman infantry from behind and completing their encirclement. This was followed by hours of butchery as the vast majority of the Roman army of perhaps 75,000 was killed or captured in a single day of combat. Cannae would go down in history as the perfect battle and countless generals would attempt to imitate it. We see in these battles Hannibal’s strengths as a general. At Cannae he was personally involved in the most desperate fighting in the centre of the line where his inferior infantry were hard pressed. He used brilliant maneuvers at Trebia and Cannae to encircle numerically superior enemy forces. He used the river at Trebia to weaken the Romans, as well as the flat plains near Trebia and at Cannae maximize the use of his calvary. He used elite forces to ambush the Roman rear at Trebia and launched perhaps the most successful surprise attack in history at Lake Trasimene. He used his different contingents to the best of their abilities: His Numidian cavalry to provoke, harass and maneuver, his close order Gallic and Spanish cavalry for both shock effect and decision, his Libyan infantry as elite troops and frankly his Gallic infantry as cannon fodder. After Cannae Hannibal expected the Romans to sue for peace considering he had bested all the forces they had sent against him for the past 3 years, had moved across the Italian peninsula with impunity, and Rome no longer had significant forces left in Italy to oppose him. Yet Rome refused to surrender and would not even negotiate. Rather she raised more troops and generally refused to fight Hannibal directly in Italy for the remainder of the war. Instead Rome used her superiority in manpower and naval power, and generally better leadership (besides of course Hannibal) to take the fight to Carthage and her allies in Sicily, Sardinia, Illyria, Spain and finally to North Africa and Carthage itself. Using these advantages Rome conquered Sicily and Spain, retained Sardinia, neutralized Carthage’s Macedonian ally in Illyria, and brought the Carthaginians to the verge of defeat in their homeland. She also used delaying tactics to eventually neutralize, if not defeat, Hannibal in Italy and improved the capabilities of her army so that Scipio would eventually defeat the former in battle and win the war. Thus in 202 B.C. the Roman commander in North Africa, Scipio, brought the Carthaginians to terms. While Hannibal had never been defeated in Italy he was forced to evacuate Italy with his army during an uneasy armistice between Rome and Carthage. However, this armistice broke down and Hannibal’s army marched to confront Scipio’s and met him at Zama to attempt to save Carthage from unconditional surrender. Zama is an interesting battle. Whereas in most battles Hannibal was generally outnumbered, at Zama he had numerical superiority. Additionally, while he generally had better and more numerous cavalry, here he did not. This was a combination of him having to leave behind, or kill, considerable horses in Italy, the Roman ability to recruit disenchanted Numidian forces in North Africa, as well as the failure of Carthage’s remaining loyal Numidian allies to get to Zama in time for the battle. Perhaps worse for Hannibal was that his troops composed of differing formations that had not fought and trained together. They compromised of mercenaries from Liguria and elsewhere, levies raised among the Carthaginians in North Africa, and his veterans from Italy. These forces differed considerably in quality and were, with the exception of Hannibal’s veterans, no match for Scipio’s legions. Meanwhile, Scipio’s forces may have been outnumbered in infantry but at least his infantry were better trained and had fought together for years. Additionally, Scipio had trained them in sophisticated maneuvers, mimicking Hannibal’s success in Italy. Perhaps most decisive was that Scipio held a significant numerical advantage in cavalry which would prove decisive at Zama. Hannibal’s plan at Zama was to first use his elephants (of which there were 30-80 based on differing sources) to sow panic and confusion among the Roman legions, then use his inferior cavalry to lure Rome’s calvary from the field (as Hannibal’s cavalry had no chance of beating their equivalents) and finally to use his numerically superior infantry to beat Scipio’s legions. Hannibal placed his infantry in 3 different lines one after the other with his mercenaries in the first line, the Carthaginian levies in the second, and his veterans in the last. He did this to hopefully wear down Scipio’s legions with his first two lines and then deliver the coup de grace with his veterans. He also used this deployment so that if Scipio attempted to use any of his legions to envelope his army Hannibal could use his forces behind the main line to counteract, if not destroy, any Roman enveloping force. The battle began with the elephants charging and Scipio unequivocally won this first engagement by opening lanes in his ranks to allow the elephants to run harmlessly through his lines, by using a variety of light infantry to harass and kill several of them, and using trumpets and horns to disorient the elephants. These had a decisive influence as the elephants inflicted little harm on the Romans and some of them even panicked and retreated to Carthaginian lines and caused some chaos there. The next part of the battle seemingly went well for the Romans as their calvary quickly charged and forced Hannibal’s calvary from the field, following them as they fled. However, this was actually a victory for Hannibal as he had purposely ordered them to lure the superior Roman and Numidian cavalry away from the battle so that he could hopefully win the infantry contest before they returned. Thus the battle quickly became an infantry slog between Scipio’s legions and Hannibal’s ad-hoc force. The battle see-sawed as the Roman infantry inevitably pushed back Hannibal’s first two lines after some vicious fighting. However, by deploying his forces one after the other Hannibal neutralized Scipio’s plans to envelop his lines and after being initially routed Hannibal ordered the mercenaries and the Carthaginian levies to deploy on the flanks of his veterans, who were Fresh as they had not yet joined the battle, and prepared for a final showdown with Scipio’s infantry that now formed a solid line confronting him. This last infantry engagement was particular savage and hard fought and it is debatable which side would have prevailed had they been left alone to fight it out. However, the Roman cavalry had in the meantime finally chased down its Carthaginian equivalent, decisively beaten it, and then returned to the battlefield to take Hannibal’s infantry from the rear. The similarity with this end result as at Cannae was extremely ironic. This last maneuver doomed Hannibal’s armies and his force was ruthlessly cut down and he made good his escape, conceding to Scipio victory in the battle. The statistics of the battle were grim for Carthage as Hannibal’s forces lost 20,000 dead and 20,000 prisoners (mostly inflicted after the Roman cavalry trapped Hannibal’s infantry) whereas Scipio’s losses were more modest, estimated between 1500-6500. The “Battle of Zama” ended the war decisively in Rome’s favour. Despite Hannibal’s unequalled genius during the conflict there were several factors which allowed the Roman’s to recover from their near crippling defeat after Cannae and gave them victory in the end. Firstly, the Romans had vastly superior manpower. Even with Gallic allies, the defection of some of Rome’s southern Italian allies, as well as Syracuse and King Phillip V of Macedonia entering the war on Hannibal’s side Carthage never came close to matching Roman manpower. Since the Romans usually absorbed their former enemies who then became allies with rights and privileges and then received the protection of Rome the Romans were always able to recruit troops from a significantly large pool of loyal citizens who had a stake in the outcome of the war. Meanwhile Carthage, with a similar population to the Roman Republic as a whole, could only mobilize a much smaller force from reluctant subjects with little rights in Spain and North Africa while her own citizens usually cared more about commerce than fighting. This advantage not only allowed the Romans to fight against Hannibal in Italy with usually superior numbers, but also take the fight to Spain, Greece, Sicily and finally North Africa, beating the Carthaginians and their allies in the theatres of war outside Italy. Ironically the Romans never had to beat Hannibal in Italy as their success in North Africa threatened Carthage enough that he had to evacuate from Italy to try to save his country. Yet the Romans only managed to accomplish this due to her naval superiority, which was her next main advantage. The Romans had won the “First Punic War” against Carthage over Sicily by building a superior fleet than the Carthaginians and beating them at sea. After that conflict Rome had opportunistically annexed Corsica and Sardinia while Carthage had been preoccupied with putting down a rebellion by her former mercenary army. Rome thus controlled the main islands between Carthage and herself and maintained a superior fleet than the Carthaginians in between the wars as well. Roman naval superiority enabled her to transport and supply her legions to fight and beat the Carthaginians and her allies in Spain, Sicily and North Africa. It also forced Hannibal to undertake his risky and costly invasion of Italy that had resulted in the defection, or destruction, of half of his initial army. Finally, it more or less effectively cut Hannibal off from being reliably, and regularly, supplied in Italy by Carthage during the war. Except for briefly in 215 B.C. Hannibal would never receive more supplies for his army in Italy again. Hannibal was further denied victory in Italy by Roman efforts to refuse battles under conditions that would be advantageous to him, as well enacting scorched earth methods. This had initially been adopted after the disaster at Lake Trasimene when Quintus Fabius Maximus had been elected dictator of Rome. He had wisely noted that Hannibal and his army clearly outmatched the Roman legions so his strategy was to avoid battles and focus on skirmishes where his forces had the advantage, as well as harassing Hannibal’s foragers and destroying crops and supplies in his path to prevent the Carthaginians from being adequately supplied in an already hostile enemy land. However, this strategy had limitations. Firstly, while his capabilities were restricted due to his supply situation, Hannibal was never effectively starved out. Secondly, the strategy was initially abandoned in 216 B.C. due to Roman impatience and indignation which led to the disaster at Cannae later in the year. Finally, in the years after Cannae Hannibal may have been slowly hemmed into Southern Italy and reduced as a threat, but he was never defeated outright. However, given that Hannibal constantly strove to inflict major battlefield defeats and facilitate the defection of enough Roman allies to make her concede defeat, and given that this strategy in effect denied this outcome, and given that it allowed the Romans to prevail in other theatres of war and force Hannibal to return home, it is safe to say that it was the right strategy for the Romans to have adopted. Another key in the Roman recovery was the learning curve of her armies. Whereas Rome had started the conflict with the usual practice of raising relatively inexperienced legions annually she started keeping much of her legions together for longer periods of time. Rome also kept its military leaders on for longer periods of command. This allowed both to gain more experience and confidence in fighting the Carthaginians and their allies. Eventually it allowed some Roman commanders, such as Marcellus, to even beat Hannibal in a few major skirmishes in Italy. Yet perhaps the best innovations were produced by Scipio who learned from Hannibal how to use surprise, speed and maneuver effectively to defeat enemy forces. Thus he took New Carthage in a quick assault in 209 B.C. and used maneuvers to decisively defeat the Carthaginians and end their influence in Spain after the battles of “Baecula” in 208 B.C. and “Ilipa” in 206 B.C. Then he destroyed several Carthaginian armies in North Africa, once by launching a surprise attack on one of their camps at night. Finally his veteran army defeated Hannibal at Zama, admittedly with the help of disaffected Numidian cavalry. A final Roman advantage was that with the exception of Hannibal and his army the Romans were generally superior to other Carthaginian leaders, forces and allies. In Spain Hasdrubal Barca and his forces admittedly beat the Romans decisively in 211 B.C, however he had benefitted immensely from superior numbers after the latter were abandoned by their Spanish allies and was also fortunate enough to catch the Romans in isolated forces and crushing them piecemeal. Yet Hasdrubal Barca also lost most of the major engagements before 211 in Spain as well as all the subsequent ones. In 207 B.C. Hasdrubal took a force from Spain and crossed the Alps in an attempt to reinforce Hannibal. However, it was caught by a stronger Roman force at the Metaurus river and crushed. Likewise Syracuse held out for a few years until it was brutally sacked in 212 B.C. and the Carthaginian contingent in Sicily was always bested by the Romans. Phillip V’s efforts in Illyria did little to harm Roman interests and Scipio easily beat the hastily conscripted and poorly trained Carthaginians in North Africa prior to Hannibal’s arrival. Seen from this perspective Hannibal’s risky strategy to take the fight to Italy seems reasonable considering Carthage and her allies constantly faltered elsewhere. Bedsides these Roman advantages Hannibal made mistakes that contributed to his ultimate failure. Firstly, he both misunderstood and underestimated the Romans. His major strategic premise of the war was that to beat Rome he had to convince enough of its allies to defect until she was either wiling to surrender or be unable to continue the war. As Richard Gabriel noted in his biography on the great general Hannibal misunderstood Roman culture as well as Rome’s relationship with her allies. He thought that Rome would behave as a rational Hellenistic like state and concede defeat after being bested in the field several times. Yet the Romans did not see war as limited and rational but as a fight to the death and refused to come to terms even after coming close to collapse after Cannae. He also believed that he could get what he thought were disenfranchised Roman allies to defect. Yet most of these allies were not reluctant bedfellows with Rome but genuine friends who enjoyed several rights, privileged and perks under Roman rule. While some did in fact defect after Cannae most of them stayed loyal, not least because they were suspicious of Carthaginian motives as well as being afraid of potential Roman reprisals. Hannibal also clearly underestimated Roman capabilities and resolve. Certainly he was shocked by their refusal to come to terms after Cannae, and must have held their generalship in contempt much of the time considering how he kept besting them in the field constantly. He must have been surprised that instead of concentrating on facing him in Italy after Cannae that the Romans instead sought to defeat him indirectly by securing Sicily, seizing Spain and then invading North Africa. Perhaps a classic example of Hannibal underestimating the Romans was his march towards Rome in 211 B.C. in an attempt to relieve the siege of Capua. Instead of raising the siege and coming to Rome’s rescue the Roman’s called Hannibal’s bluff and continued besieging Capua while Hannibal dallied before the walls of Rome. Hannibal also paid little attention to naval affairs. As listed above Roman naval superiority was decisive in cutting off Hannibal from supplies in Italy, projecting Roman military power abroad, and bringing the war to Carthage and ending the conflict. While it is true that Hannibal had little chance to improve the naval balance between Rome and Carthage it is obvious that he was predominantly a land general who clearly underestimated how Roman naval power could decisively affect the conflict. While it could be argued that with the primitive communications of his age it was hard to coordinate Carthaginian naval and land forces in a hostile war zone such as Italy it is obvious Hannibal should have cared more about naval power. This ties into Hannibal’s failure to appreciate certain logistical considerations. While Hannibal’s conquest of the Alps is often glamorized the fact remains perhaps more than half of his army was lost crossing them and he never received significant supplies from Carthage or Spain in Italy except for once in 215 B.C. Hannibal was overly dependent on recruiting Gallic tribes and disaffected Italians in Italy and was constantly on the move due to usually operating in hostile territory where his supply situation was uncertain. On the strategic level he never achieved a truly reliable logistics situation in Italy due to these considerations as well as the fact that once he did secure allies in Italy he was forced to defend these as well as simultaneously trying to beat Roman armies in the field, as well as launching operations to secure other Roman cities or allies. However, this can be contrasted to his success in logistics at the operational level as he somehow managed to fight in Italy without being destroyed for 16 years against a vastly superior enemy and a mostly hostile population. Perhaps the argument can be made that Hannibal’s only chance was to invade Italy to win the war there and that he had to take risks regarding logistics due to his circumstances, but clearly Hannibal never found, or even seriously attempted to create, an effective way to master his supply situation. One factor was whether or not the Carthaginian navy could have effectively, or regularly, supplied Hannibal in Italy, and even if it could have if it would have made a decisive difference given Rome’s superiority regarding manpower. Another consideration is that Hannibal failed to secure a sizeable port in Italy, and yet another that the Carthaginians did in fact reinforce their garrisons in Sicily and Spain relatively easily during the conflict. Yet Spain and Sicily were closer to Carthage and Roman naval power was often too far away to seriously interdict their supply lines much of the time. Meanwhile Southern Italy was farther away from Carthage, the Roman navy was closer and it is obvious the Romans would have made major efforts to interdict Carthaginian plans to resupply Hannibal in Italy had the decision been made to seriously supply him there. Ultimately there seems to have been a failure by the Carthaginians to at least try to adequately supply their forces in Italy and it would be folly to suggest that Hannibal bore no responsibility in this regard. Finally, Hannibal seems to have either misidentified, or at least failed to attack, Rome’s true centre of gravity in the conflict. There was arguably only 2 ways to bring the Romans to their knees; seizing Rome or destroying the Roman political will to continue the war. The first most likely would have ended the war, whereas the second would be hard to effect as it was a more psychological consideration. Hannibal clearly focused on the latter by attempting to quash Roman political will by destroying Roman armies, causing the defection of her allies, as well as isolating her in the Mediterranean. It should be noted that Hannibal did enjoy considerable strategic, operational and tactical success regarding these means. Hannibal destroyed nearly every army Rome sent to confront him with from 218-216 B.C. He inflicted other notable battlefield reverses on the Romans such as the two battles at Herdonea. In 208 B.C. he ambushed and killed two consuls. He captured, or won over, most of Southern Italy including the major cities of Capua and Tarentum. His successes convinced Syracuse to join Carthage’s side as well as Philip V of Macedonia to declare war on Rome. In 16 years of war Rome lost perhaps 50% of her available manpower and at several crucial points her allies refused to provide her with more troops. Yet despite these considerable achievements Rome’s political will to continue the fight never wavered; the Romans saw the contest as a battle to the death and never considered ending it by negotiation. The city of Rome was the Roman’s true centre of gravity for their war effort and Hannibal never made a serious effort to either capture it by either direct assault or siege. There has been considerable debate among historians and experts not only whether or not Hannibal should have tried to take Rome, but even if he had the means to do so as well. The common belief is that Hannibal had little prospect of success given that he did not have enough troops to assault the city, that he had little siege equipment, and that it would have been difficult to stay in one place for the necessary length of time for a successful siege due to logistical difficulties while operating in a hostile country. However, some historians argue that these factors are either exaggerated, or mistaken, and that Hannibal may have actually had a good chance of capturing Rome. According to Richard Gabriel after the battle of “Trasimene” Hannibal had enough troops to assault the city, that contrary to popular belief he had, or could have easily constructed, siege equipment, and that he could probably have taken enough risks with logistics that he may have been able to take the Roman capital. At this point the Romans had few troops in the city, her other consular army in Italy was well to the north and occupied fighting the Gauls, and Rome’s city walls were not that impressive. Ironically though Richard Gabriel suggests that the chances of taking the city after “Cannae” were less favourable considering how much farther away Rome was from Cannae versus Lake Trasimene, that Hannibal’s army was weaker at this point, and that Rome could have had more troops available versus a year earlier. However, there is also the argument that the Romans could have potentially been so shocked and demoralized after Cannae that a bold march on Rome by Hannibal might have made them panic and sue for peace. Yet given the fact that the Romans were committed to a fight to the death and given that they were not unduly worried when Hannibal actually marched towards Rome in 211 B.C. it is hard to fathom the Romans throwing in the towel without a fight for the city. Ultimately though there is no way to know whether or not Hannibal would have succeeded if he had made a serious effort to take Rome but it is certain that taking the city would have been his best chance of winning the war. Considering Hannibal was an avid gambler and since the odds in the conflict were usually against him it may very well have made sense for him to throw the dice and attempt it. Yet he did not and while he had considerable success in his strategy of wearing down the Romans via other means he never convinced the Romans to change their policy and discontinue the war. Napoleon Bonaparte is the next great general who defied countless odds but who was also ultimately defeated in the end.